Published: April 28, 2012 at 01:10 p.m.
LANDOVER, Md. 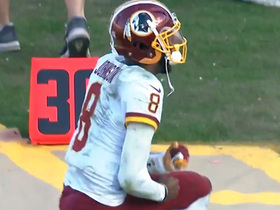 -- Washington Redskins rookie quarterback Robert Griffin III will wear jersey No. 10, which wide receiver Jabar Gaffney donned last season. The Redskins gave Griffin the number -- which he wore at Baylor -- without him requesting to have it, according to the team. The No. 10 jerseys with Griffin's name on the back already are on sale. 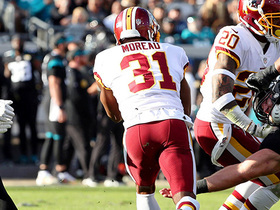 If Gaffney is on the Redskins' roster next season, he'll wear a different number, but his future is uncertain. 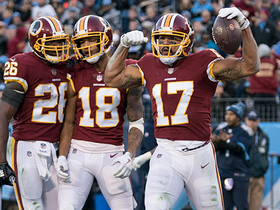 The team signed wide receivers Pierre Garcon and Josh Morgan in free agency, and coach Mike Shanahan told The Associated Press on Wednesday that he has given Gaffney permission to seek another team. "I believe I owe it to him to give him a chance to look around the league and check his options," Shanahan said. 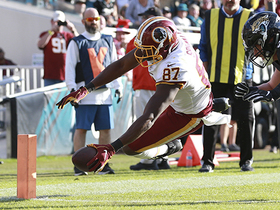 Second-year pro Leonard Hankerson also is expected to be part of the Redskins' receiver rotation, along with veteran Santana Moss.